The disgraced Hawks boss said defiantly he would show up for work on Tuesday, but now seems to have extended his leave. Former Hawks boss Mthandazo “Berning” Ntlemeza will report to work, but just not today. His lawyer, Comfort Sandile Ngidi, told The Citizen his client was still on leave and would only report back to work next week, on Monday. He said he got instructions to file with the Supreme Court of Appeal and hoped that the papers would be filed later this week. “While this process is on, it automatically sets aside the recent court order,” Ngidi said, despite the fact that the high court specifically said that the appeal would not be enough to stop Ntlemeza’s removal. “The second problem is that Mr Ntlemeza is still a police officer. He cant just be fired. The necessary laws and policies should be followed,” said Ngidi. The High Court in Pretoria last week ruled that Ntlemeza’s appointment was unlawful and irregular. A day later, new Police Minister Fikile Mbalula appointed Lieutenant-General Yolisa Matakata as the new acting head of the Hawks and instructed acting national police commissioner Lieutenant-General Kgomotso Phahlane to collect all property of the Hawks from Ntkemeza. Hawks spokesperson Hangweni Mulaudzi said Ntlemeza had indicated he was on leave until Monday. He said the matter was between Ntlemeza and Mbalula and asked that the Hawks be allowed to do their work, which was fighting crime. He could not say if Ntlemeza had evacuated his office but said he would not be stopped if he wanted to do so. “There is no malice against him,’ Mulaudzi said. Mbalula on Sunday said thatNtlemeza was welcome to show up for work on Tuesday morning, but he would not be doing so as the Hawks boss. 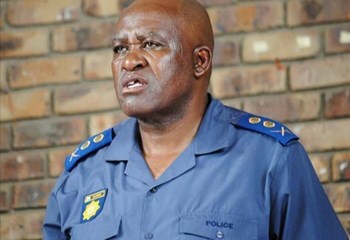 Ntlemeza remains a police officer and has not yet been subjected to disciplinary procedures by the police. He therefore remains a member of the SA Police Service. The minister told media Ntlemeza had been removed from his position as the head of the Hawks by the high court, a decision that he had not opposed since it had stood little chance of success. The disgraced Hawks boss, however, believes only parliament can remove him, and he does not care what the courts or the minister think. Sunday newspaper City Press reported that Ntlemeza had no intentions of quitting, and in fact intended to stay on until 2022, when the 61-year-old’s term officially ends. Mbalula informed Ntlemeza of this decision and asked for his observance. Ntlemeza, however, told City Press he believed only parliament could remove him and he was concerned “about the noise the minister is making”. He said the Police Act protected the Hawks boss from dismissal by the minister. Ntlemeza therefore refused to sign an acknowledgment of the dismissal letter from Mbalula. He also told City Press he was enjoying his holiday and said the minister was “misleading the public”. Meanwhile, the DA said it will once again submit questions to parliament. DA MP Zak Mbhele said Ntlemeza was meant to have left his job but was reportedly on leave until next week. “The DA will submit parliamentary questions to ascertain what benefits, if any, he received, or is to receive, from 12 April 2017 onwards,” said Mbhele. He also cautioned that should Ntlemeza attempt to interfere with the running of the Hawks, the DA would lay criminal charges against him for defeating the ends of justice. “Following a court order last week, Ntlemeza is no longer the head of the Hawks, nor is he employed by the Saps,” insisted Mbhele.